Congratulations and “Lhasa” happiness to these adoptive families! A new home was in the stars for this little one! 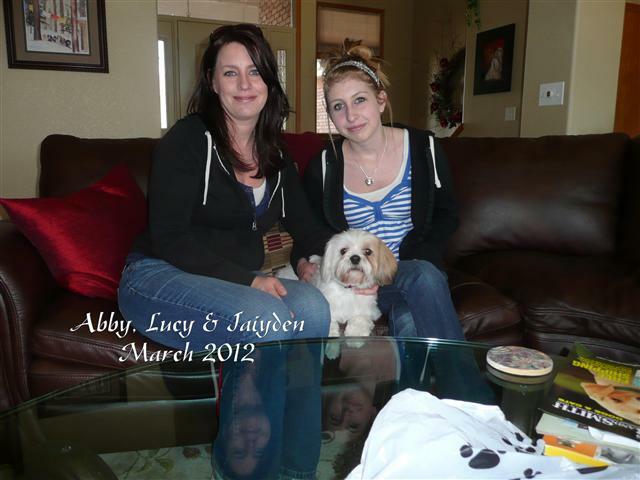 Lucy now resides her new family, Abby and her 15-year old daughter. 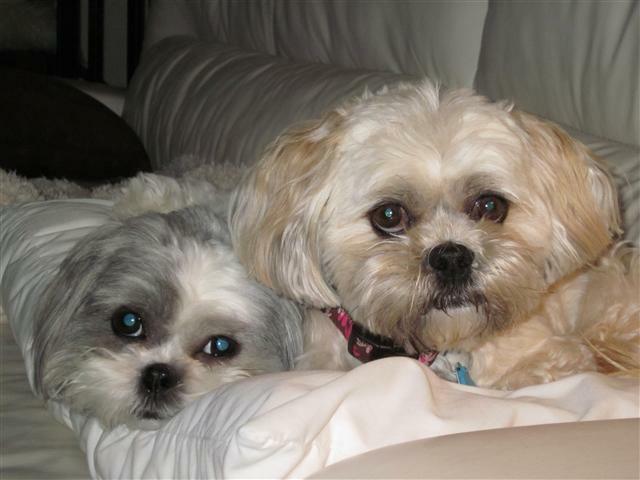 Lucy will join Brodie, a 7-year old Tzu, at their home in Westminster. May they have “Lhasa” happy years together! Sang-Po …landed with one of our previous adoptive families in Loveland. 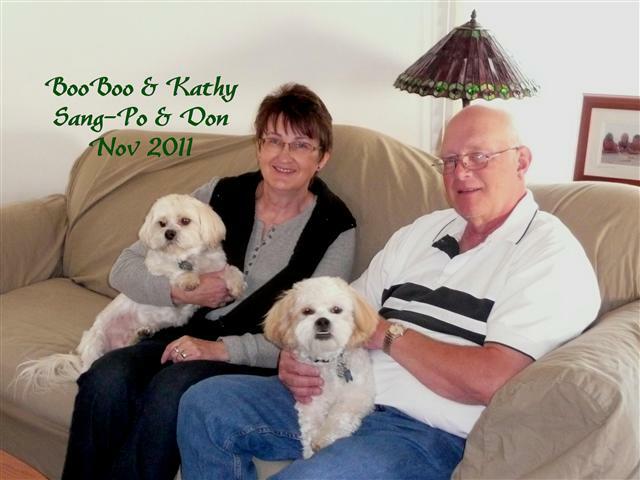 He joins Kathy, Don and BooBoo. Sang-Po is settling in and being a very good boy … just took him a while. Surrendered to rescue because he didn’t appreciate the two-legged 3-year old in the house, Leo joins former foster Jody (f/k/a Jasper). 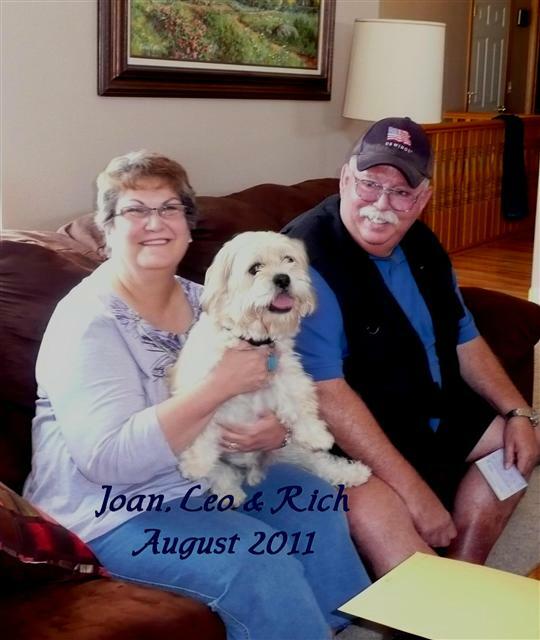 Soon to retire to Canon City, Joan and Rich have a large fenced yard at the new house for the boys to be … well …boys! I can just see these two tearing around the yard in a rowdy game of chase. Sweet little Tootsie…a well-traveled dog. She made her way to the shelter in Lamar, Colorado from somewhere in New Mexico. 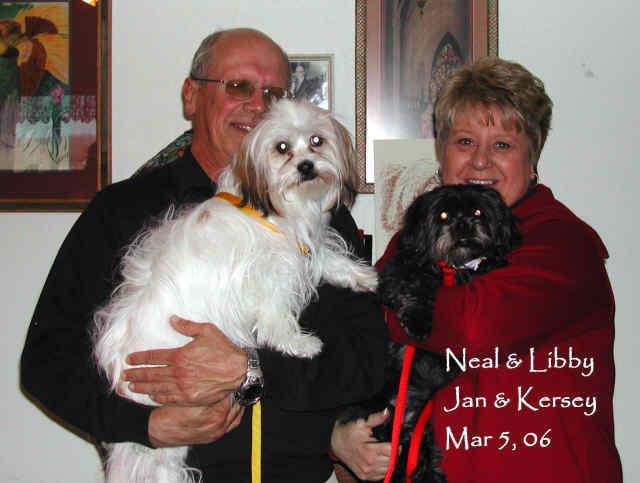 From Lamar, she landed in foster care in Loveland and, finally, made her way to Cheyenne, Wyoming where she resides with Jane and Jerry. While she’s missing her front paw – genetic in nature – it doesn’t slow her down a bit. These two little ones came into rescue separately … Pip from a west metro Denver shelter where she was picked up as a stray. Matted, caked in urine, unable to see because of the hair hanging in her eyes and suffering from a really bad case of shelter stress, she was a poor prospect for adoption at the shelter. Bella was an owner surrender. With a baby in the house, there wasn’t enough time to take care of and train an energetic pupster. While in foster care, they bonded. These two now call Texas home where they reside with dear friend Mazzi and keep her entertained on a daily basis. Kirby (f/k/a/ Ruffy) hit the jackpot with this placement! He has two canine buddies and keeps them on their toes. 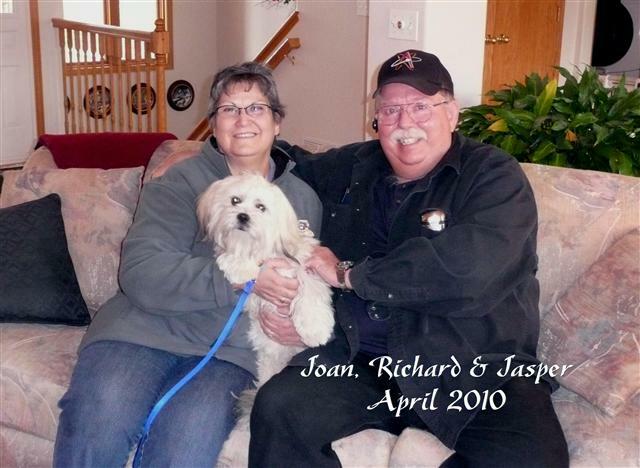 Finding a new home in Loveland, CO, his new family also stepped up to foster Tootsie when needed. A stray found wandering the streets of Greeley, this little gal now calls Berthoud, CO home. She settled in quite nicely and loves playing with her feline sibling. 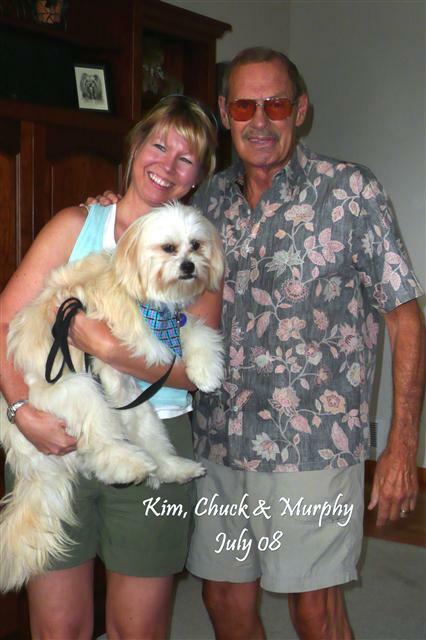 Mom and Dad a/k/a Mark and Deb, also volunteered to be a foster family … a very welcome addition to our rescue network! Tied to a fence and abandoned in rural Kansas, Bubby’s luck has certainly taken a turn for the better. 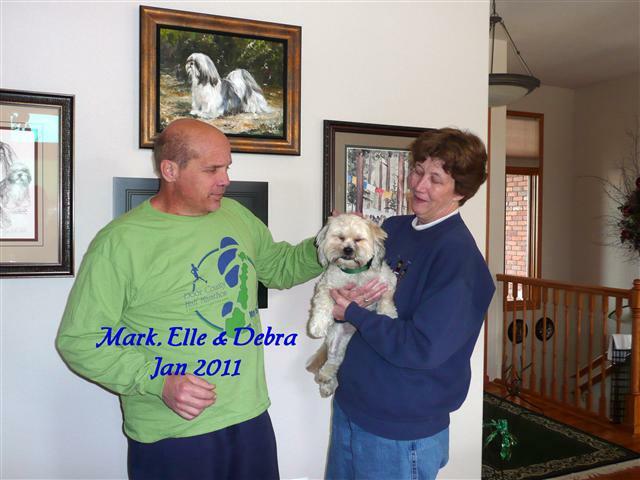 Adopted by Cindy of Englewood, CO, his new home includes canine (Sadie) and feline (Maggie) siblings. And not just one home…he also has a home in Estes Park, CO. We should all be so fortunate. Damn near starved to death by a neglectful owner, this little one wouldn’t have survived another month in Kansas. 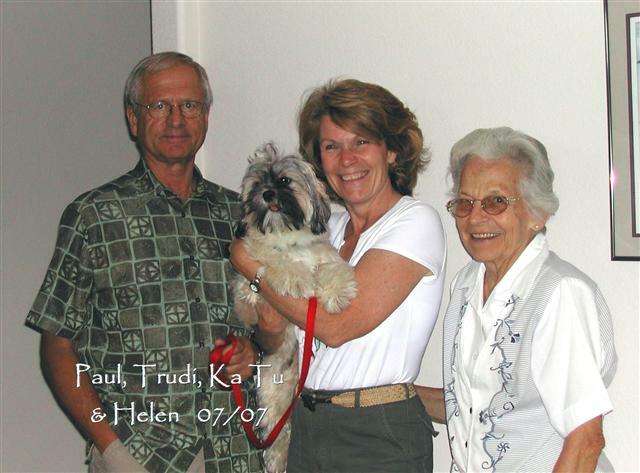 Another “repeat” adoption, we’re delighted she’s taken up residence with Trudi, Paul and our very own Ka Tu in Aurora, CO. This boy waltzed in and, within 24 hours, it was like he’d lived his entire life here. Based on his adaptation to the new surroundings, we made the decision to place him early. His new family just raves about how he’s a “good boy.” The family previously adopted Sterling (n/k/a DaVinci) from us so Elwood has a willing playmate. 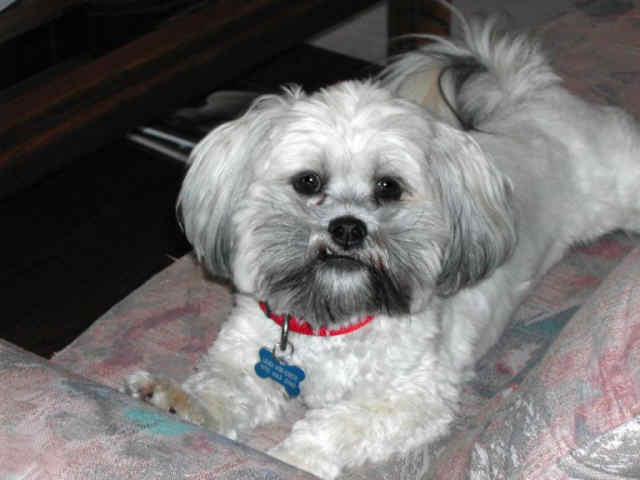 Dawa found a home in Longmont, CO. He’s doing great with the other Apso in the house, Lily, and settled in like he owned the place. Truth be known, the dogs probably rule! After five long, miserable years in a Missouri puppy mill, Mae-Mae found her own little slice of heaven. 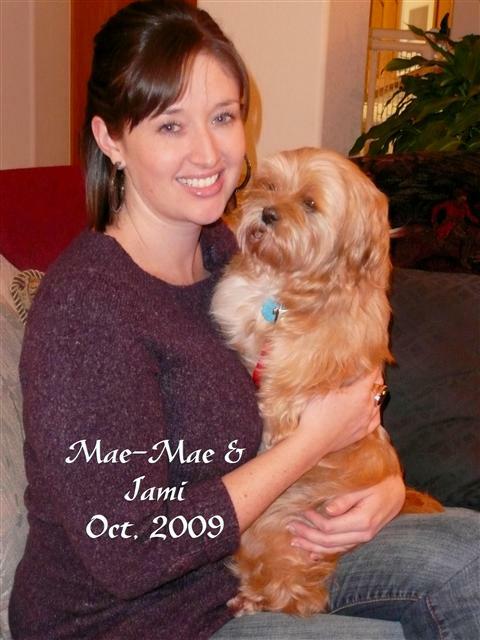 She now resides in metro Denver with new Mom, Jami, and her very own cat. Nothing better than a home for Christmas. I’ve been told that her new Grandpa would like to dog-nap her because she’s such a sweet little thing. Kalsang is one lucky pup. Not only did he survive the streets on his own, he dodged euthanasia at the local shelter because of some temporary medical problems. 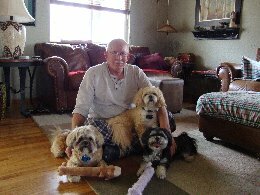 He’s found a doting home in Fort Collins, CO … his own personal slice of heaven! This boy hit the jackpot! His new family came complete with a canine sibling, Annie. Plans are in motion to have him certified for therapy visits at hospitals, nursing homes and schools. Jackson will do well with his happy-go-lucky attitude. This little one, n/k/a Gabby, is a traveler, flying to Colorado from California. Untrained as a puppy, she was too exuberant for the family’s small children. She now calls Edwards, CO home. She got her name changed to “Gabby” because she’s such a little talker! Bosa (meaning “ivory” iin Tibetan) made her way to north from another rescue in Colorado Springs. 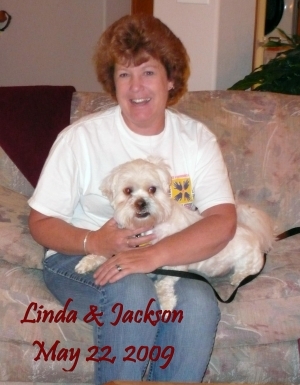 Placed in Loveland, CO she got a new sibling in the deal … an Apso by the name of Madison! This little guy almost got the name of “Scoop” because of his severe underbite. 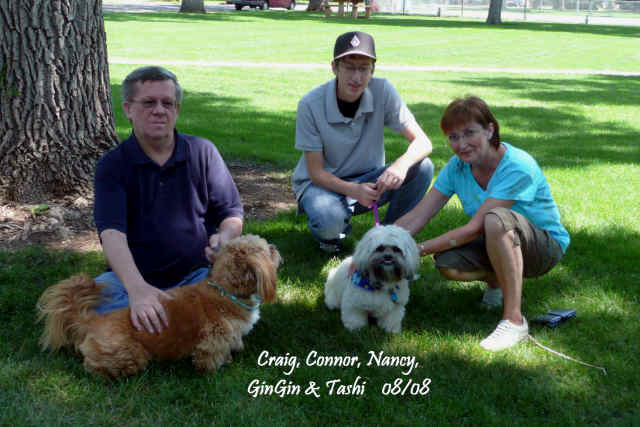 Tashi is enjoying his new life in Arvada, CO, which includes a canine sibling and a boy to share. N/K/A Peanut, Senghe arrived in rescue as an out-of-control puppy. After a course of the Nothing in Life is Free program, he found a home in Loveland, CO, which came with his very own boy. KA TU – Two ER vets from Englewood clinic drove KaTu to rescue in Loveland, CO. He was relinquished to the clinic with a fractured jaw. After many trips to the vet, a soft diet (kibble that was ground/moistened into a gruel) and eight weeks of healing, he was finally ready to find his forever home. 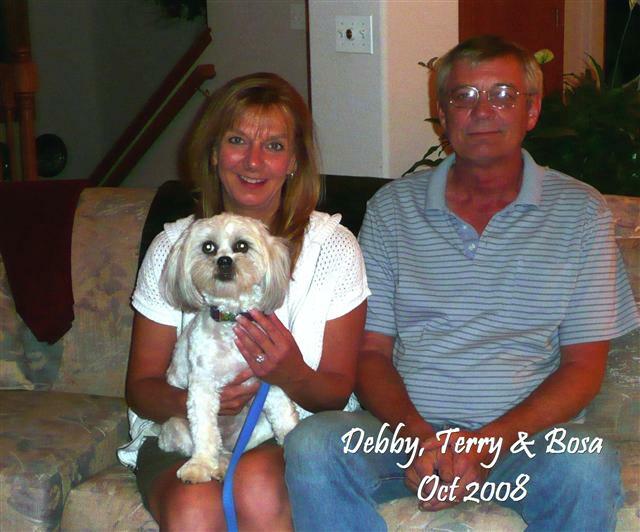 It didn’t take long for Trudi, Paul and Helen to fall in love with this little tyke…crooked smile and all. 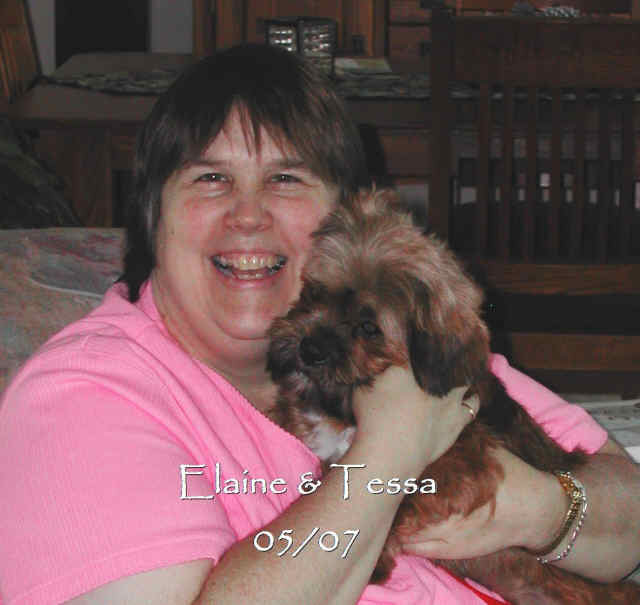 TESSA – When Elaine came to my house to pick up Lanni three years previous, she fell in love with my beautiful red Apso, Ali. When I told her we were expecting a little red female in, her response was “She’s mine!” Tessa rules the roost in Golden, CO with sibling Lanni. 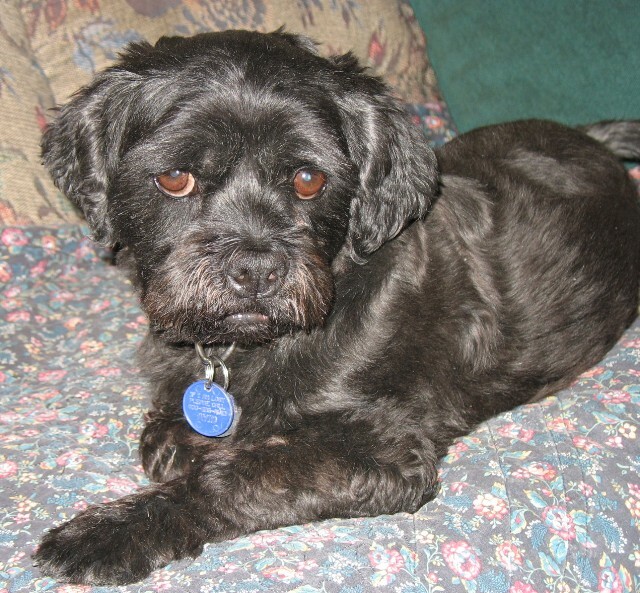 STERLING (n/k/a DaVinci) – This little cutie was found wandering the streets of Sterling, CO. Seemed like a good name at the time! He lives with his new family in Lakewood, CO. BUDDY – Animal control in Casper, WY contacted us about this sad little fella. He’d been relinquished twice. Once by a family with small children and then by an older gentleman. In foster care Buddy learned how to mind his manners. 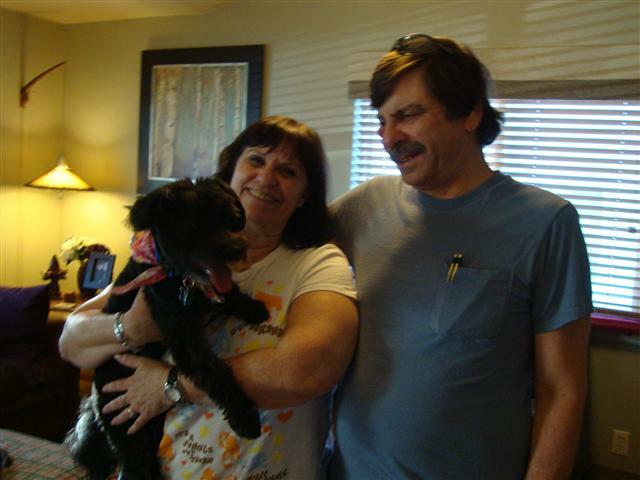 He found his forever home in Aurora, CO.
Muffy was relinquished by a family with four small children and another on the way. She much prefers the quiet home in Louisville, CO where her owner dotes on her. You may have seen them buzzing around in a little convertible Miata! 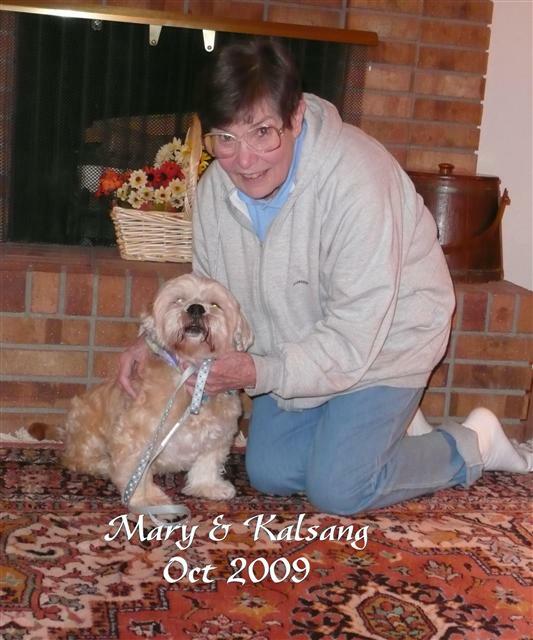 KERSEY – this poor little girl lived most of her life in a garage. 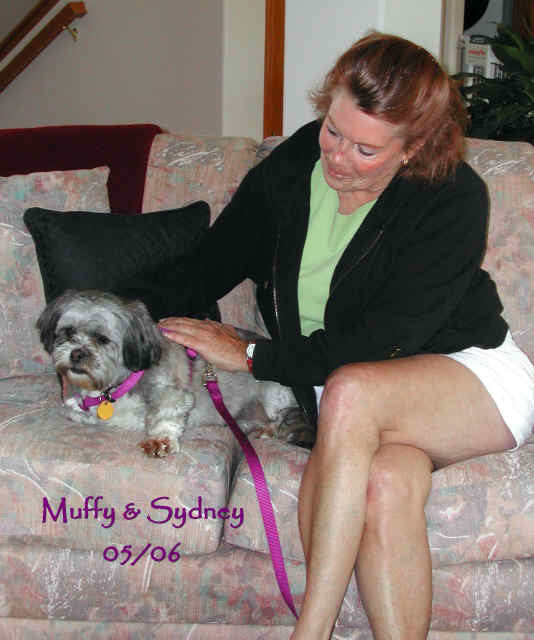 When we picked her up, she was a matted, filthy mess. First order of business was a grooming and shave down. Didn’t take this little one long to settle into her foster home and adjust to the routine. 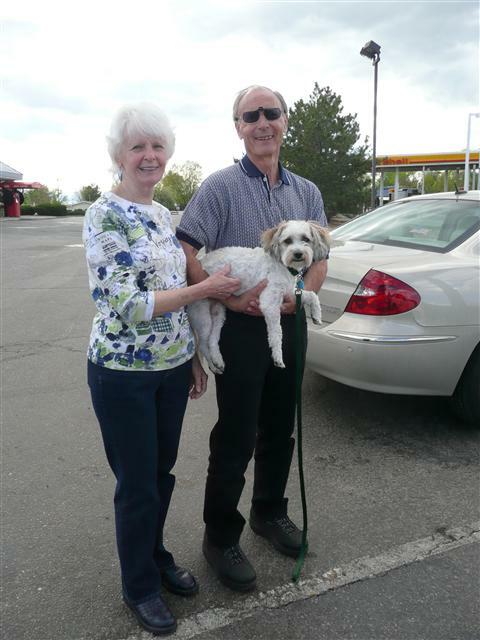 Kersey found her forever home in Casper, WY. 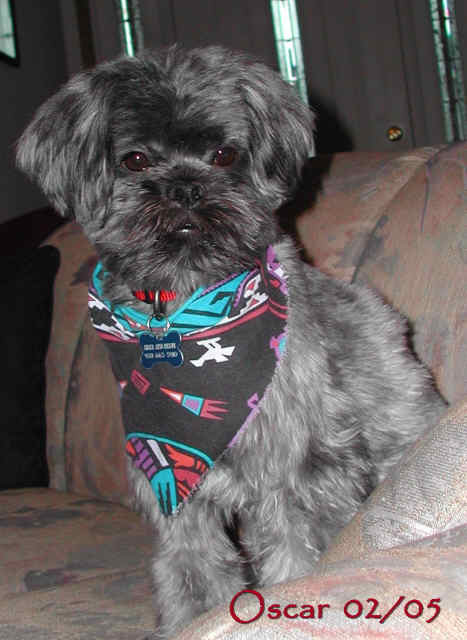 DINKY – Dinky was really “Dexter” when he arrived. However, he was such a little drink at 11 lbs, that the name stuck. 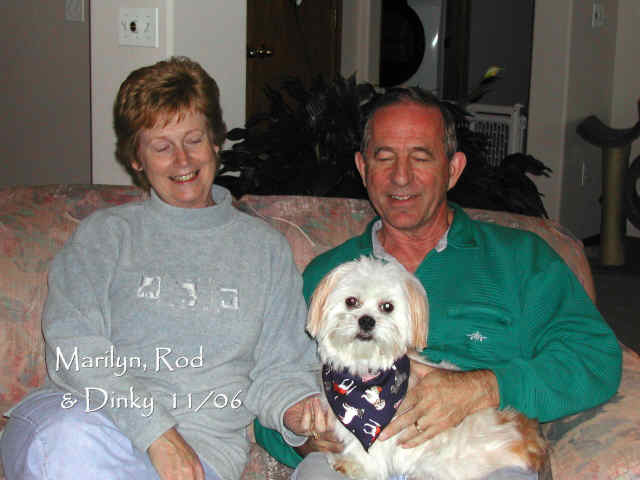 Dinky now livers in Arvada, CO and we know for a fact that he’s spoiled rotten! Lucky for us, he comes back from time to time for an extended visit while his owners are on vacation. MR. MAGOO – A blind dog, Magoo was found wandering on a country lane in Pueblo. His good Samaritans contacted us and arrangements were made for a hand-off in Castle Rock…just missing the spring storm that blew through and closed roads. Our local paper ran his story and, much to our surprise, there was little response. Except for one angel that fell in love with him sight unseen. 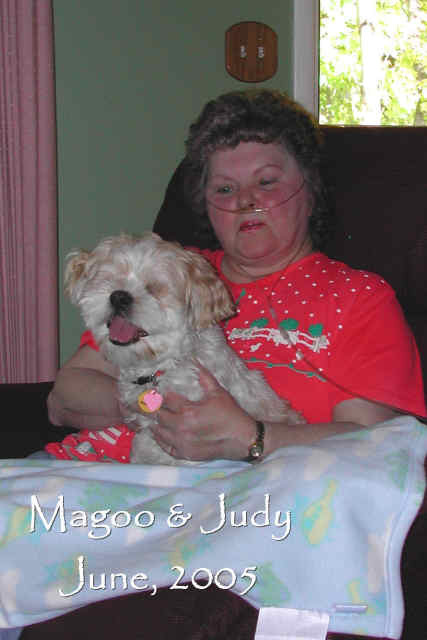 Magoo went to live with Judy and the rest is history. 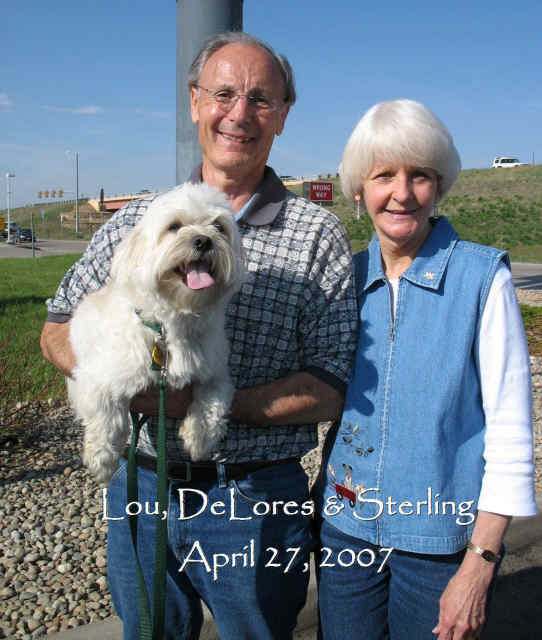 Their story can be found here…Lessons From a Blind Dog. OSCAR – If ever a dog could fly, this is the one…just look at those long legs! Oscar was quite ill when he was surrendered. 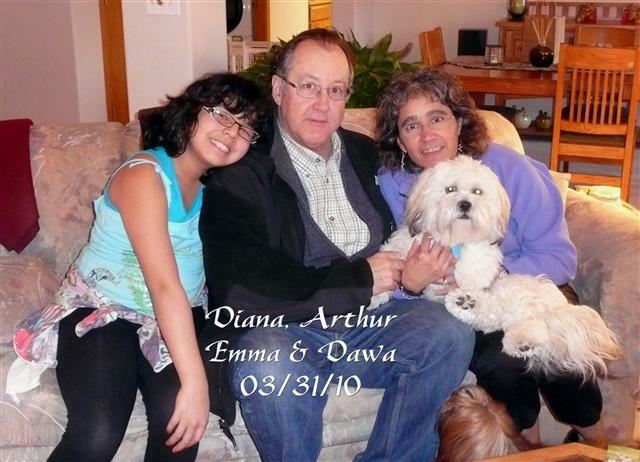 He had a long-standing food allergy that cause chronic diarrhea, irritable bowel syndrome and weight loss. With a special diet, he quickly gained weight. Oscar found his forever home in Fort Collins, CO.
EMMA – Sweet little Emma lived the first year of her life either in a crate or out in the back yard. With patience and consistency, she was quickly housetrained. And it wasn’t long before she had Michelle wrapped around her paw. 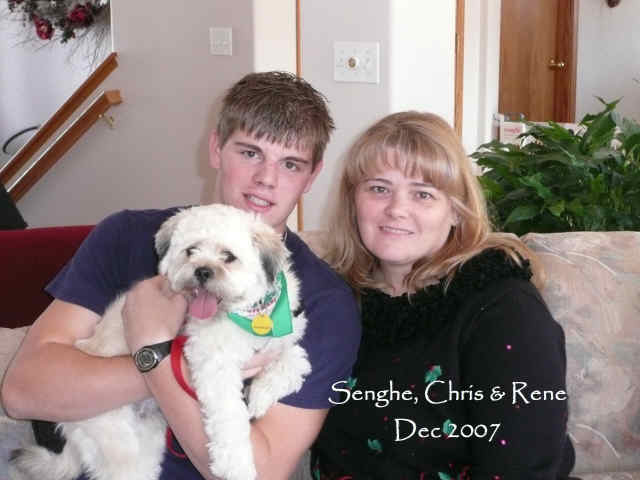 Michelle went on to be a foster parent with our organization and takes care of the website. 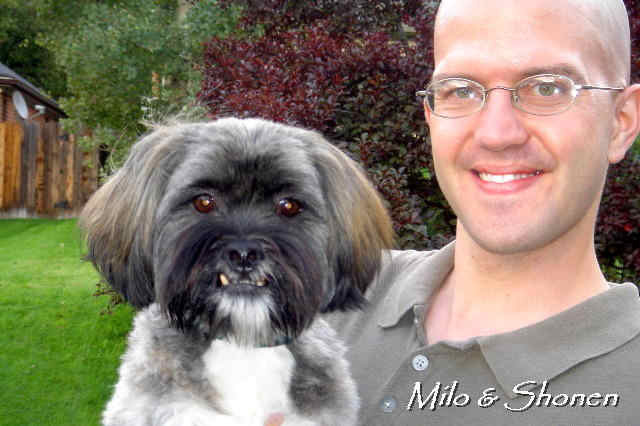 They now live in Philadelphia, PA.
MILO – This boy was relinquished because he liked to eat…swimming suits! Seems the kids in the house were in competitive swimming and Milo had a veritable smorgasbord. If a suit wasn’t available, a pair of underwear would do. Milo now lives with a Buddhist monk and his wife. We think they have the same smile, don’t you? MISS FRISKY BOOTS – This lil’ girl had a certain charm about her…once we got past the biting issues. Early in her life she had learned that when she wanted her way, all she had to do was bite. She quickly learned that was not acceptable behavior and decided life was better as the grand ol’ dame. Frisky was placed with a family in Wheat Ridge, CO.
LANNI – Lanni’s owner died and his daughters were unable to assume her care. She arrived in rescue with server bilateral ear infections from a corn allergy. With a premium food and meds for the infection, her ears finally cleared up. 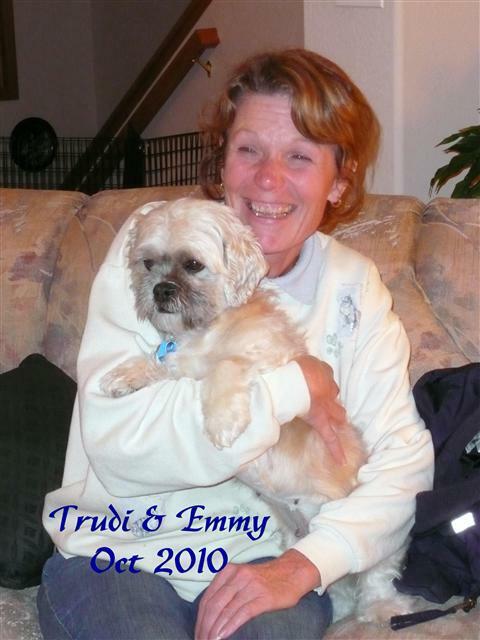 Lanni lives in Golden, CO and recently acquired a sibling…our very own Tessa. 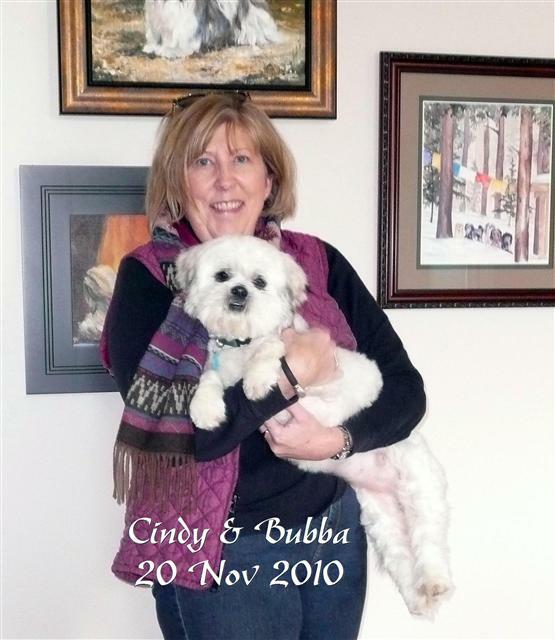 We adopted a little white Lhasa from your agency in 2003 and enjoyed her very much for the last 13 years. Today at the age 15 yrs. and eight months, we had to have her put down because of failing heath and the inability to move or stand. 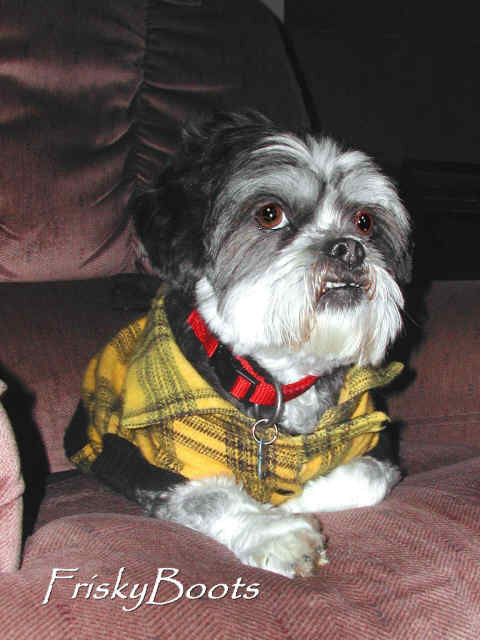 She was the third Lhasa we have loved and enjoyed over meany years. 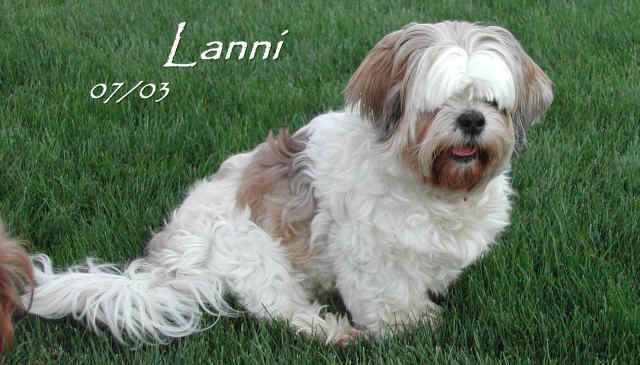 you receive any Lhasas available for adoption please call or email us.